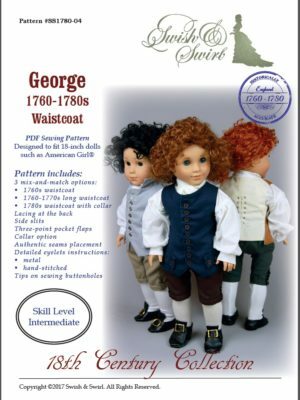 Historical patterns is the main area of expertise for Swish & Swirl. 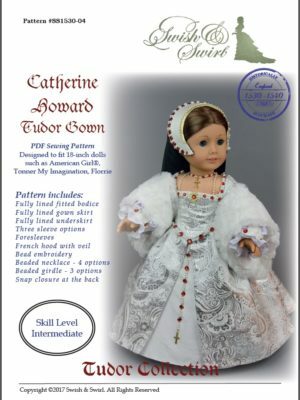 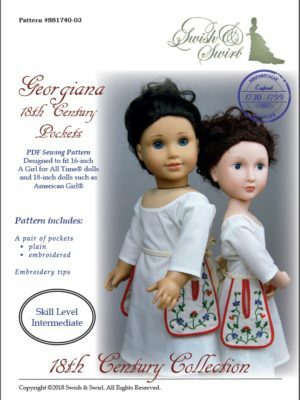 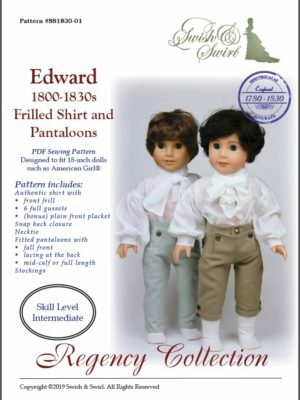 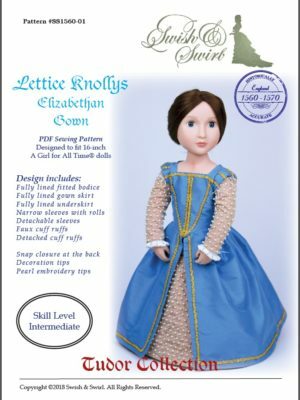 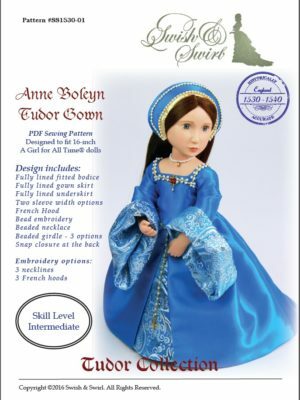 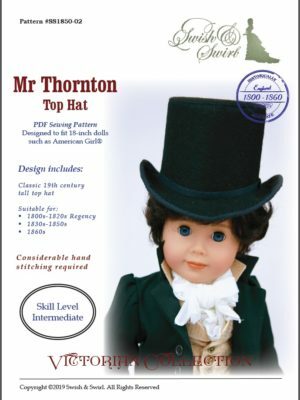 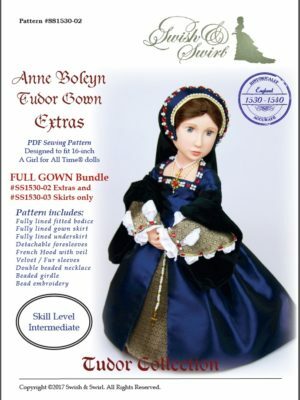 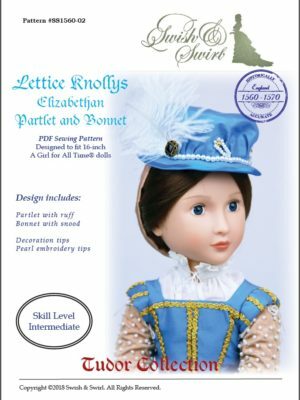 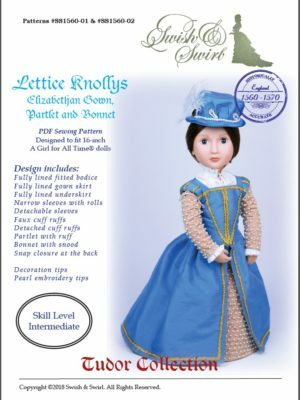 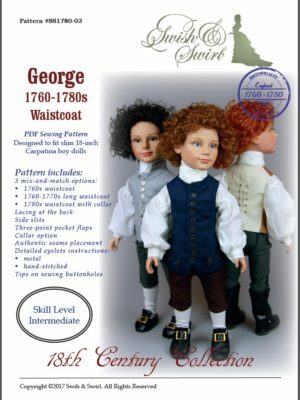 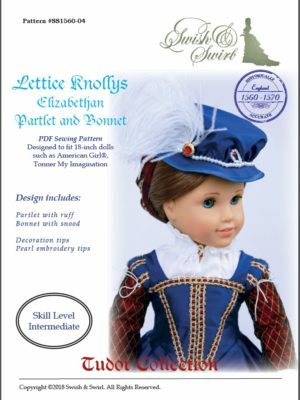 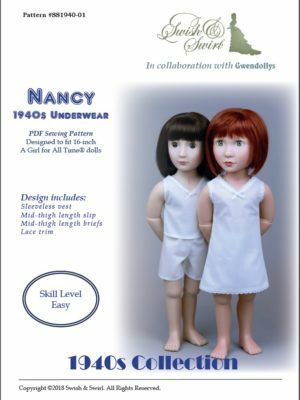 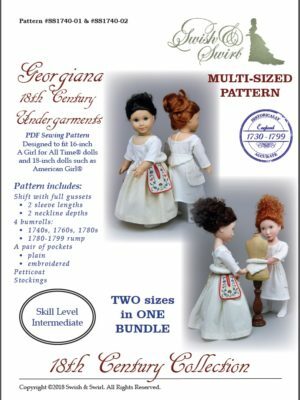 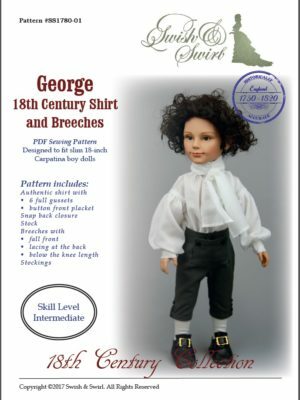 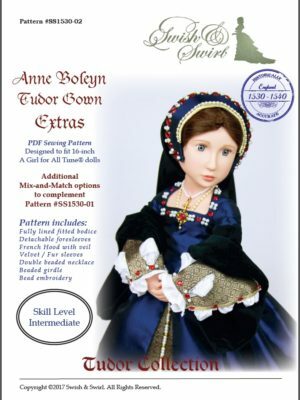 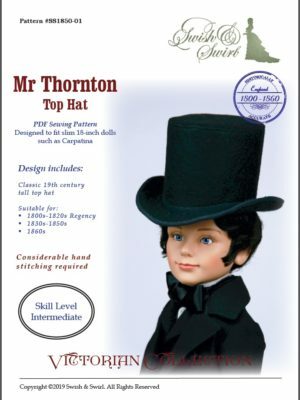 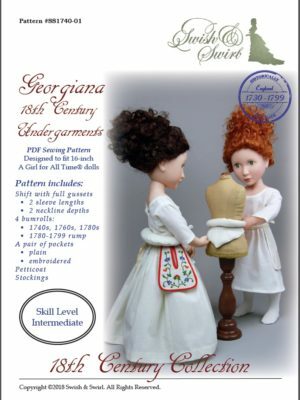 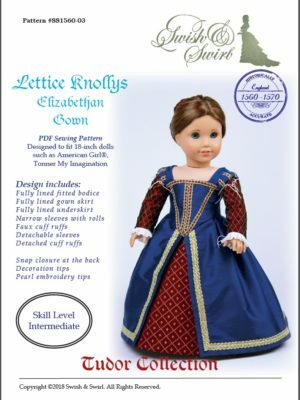 I am passionate about the history of fashion (being a historian by my first profession), so all my historical patterns are as historically accurate as possible on a doll scale. 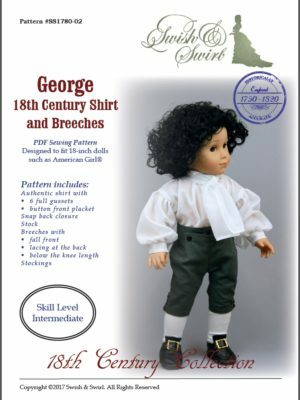 I do not compromise on the accuracy. 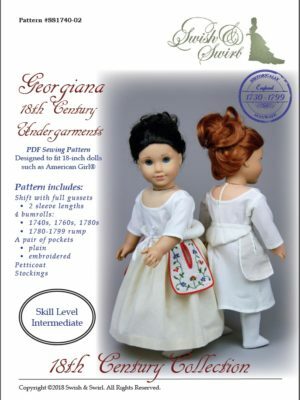 Which means, you will find slanted shoulder seams on the 17-19th century outfits, diamond shaped back on the Regency gowns and pelisses, correct placement of pleats on skirts, etc. 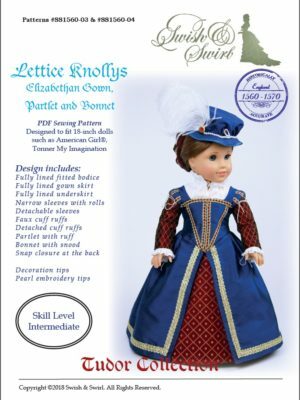 My favourite historical periods range from the early Middle Ages to the late 1860s, with the particular interest in the Tudor era in England, the whole of the 17th and 18th centuries in England, Scotland and France, and 1830s and 1850s in England. 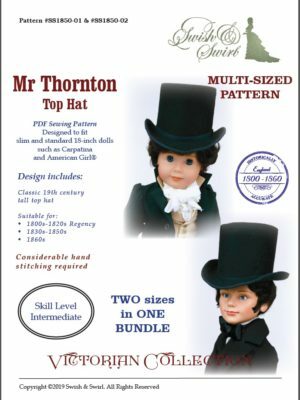 So, you can expect many more exciting patterns in the future.